I just turned in my project for the MN Opera. I think it turned out okay. Hopefully people like it! It’s mixed media – acrylic paint on a lacquered panel. 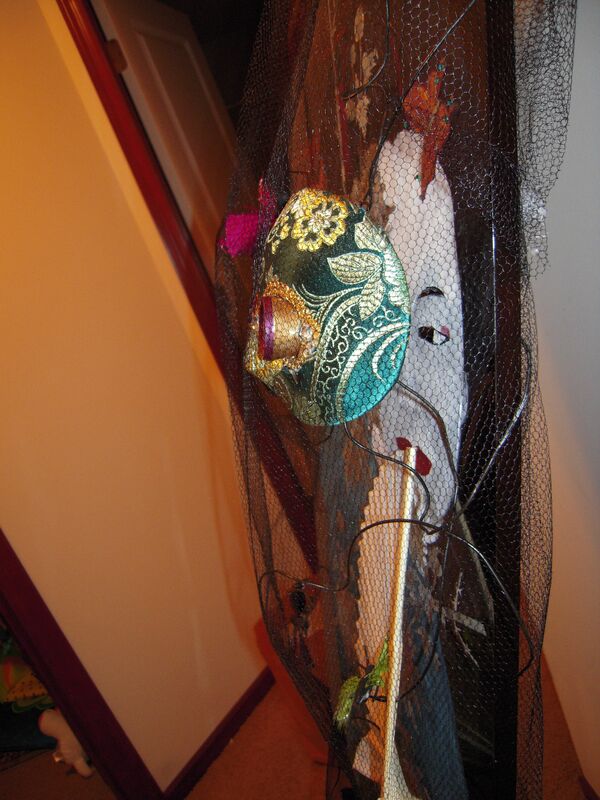 There’s also wire, fabric, clay, enamel paint, rhinestones, clay and feathers. I purchased the lacquered panel at Goodwill for $25. The opera glasses were donated by the MN Opera. I purchased the fan and the mask form, but everything else I created myself. 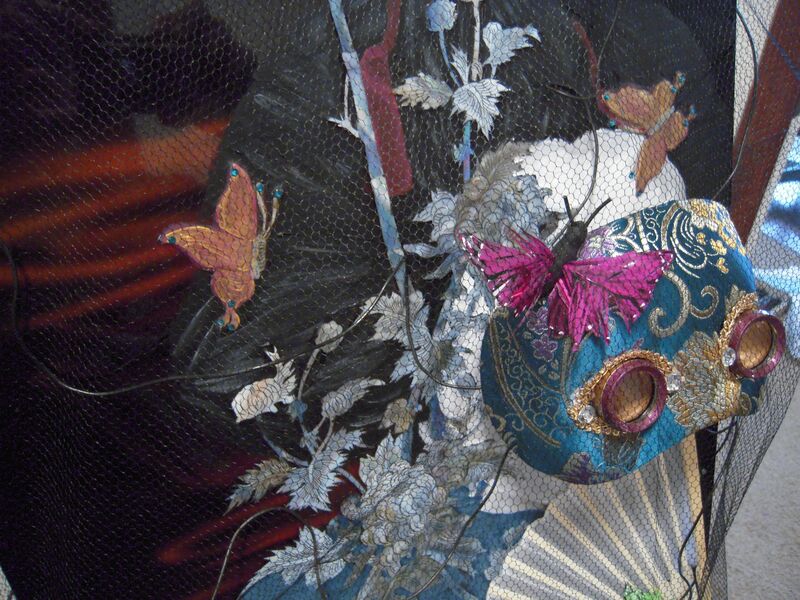 Slightly angled view of the mask section, showing the butterflies made of clay (body) and feathers (wings). 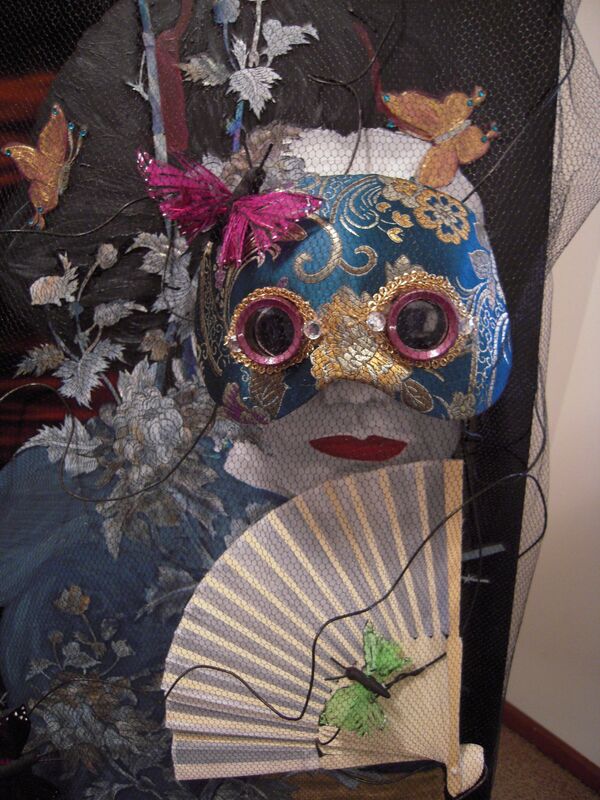 Mask is fabric over a fabric mask form with ribbon and rhinestones. 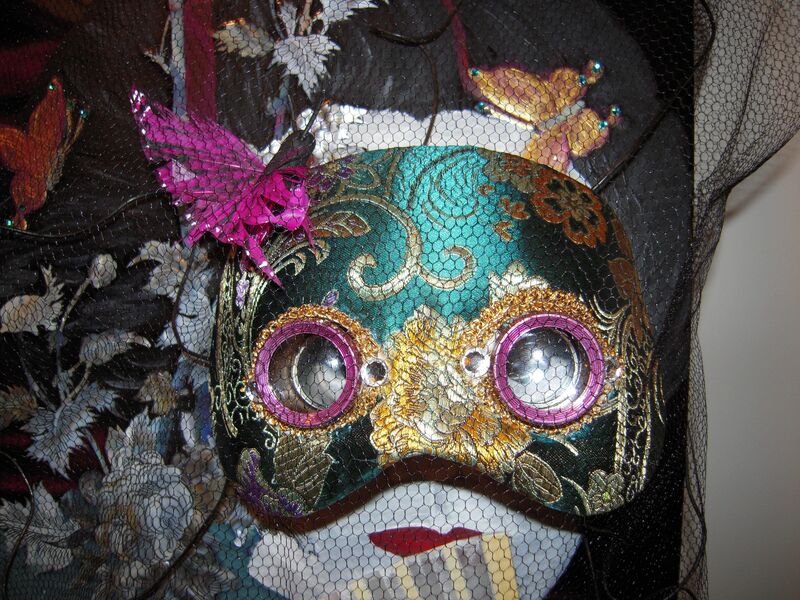 The opera glasses sit behind the mask and come out through the eyeholes. The glasses were painted with enameled purple and gold paint, and also have some rhinestones. 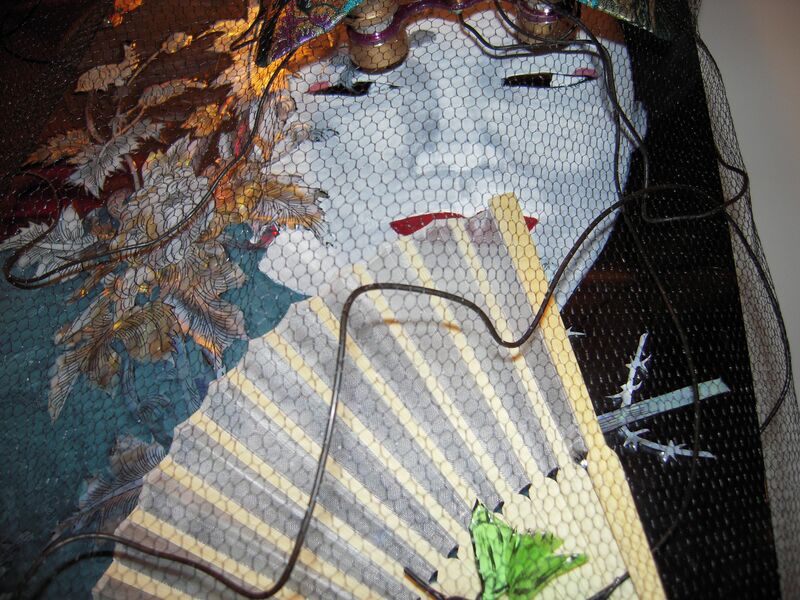 Wire is attached to the back of the panel which allows the mask to sit in front of the painting. 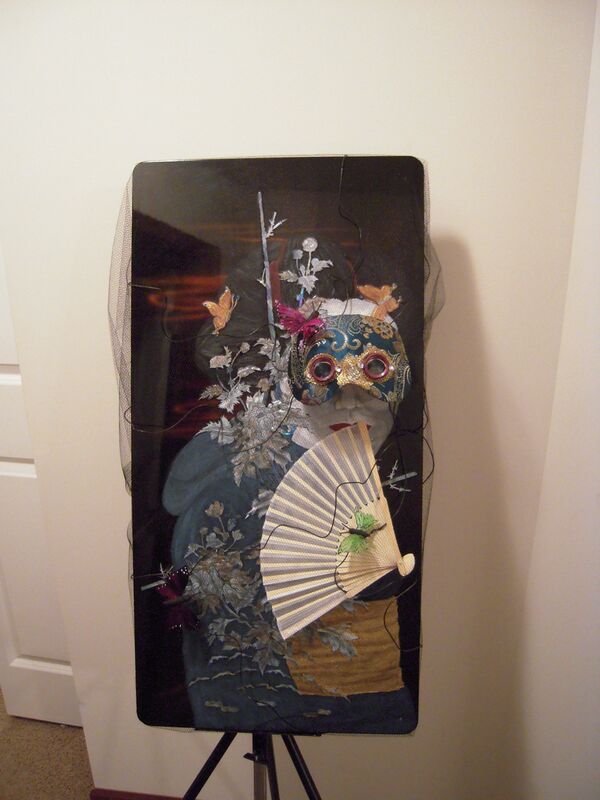 The mask and fan are held to the painting by wire. Here’s a close-up of the mask. You can see the eyes behind the opera glasses. The eyes underneath the mask. Side view to show the face behind the mask. 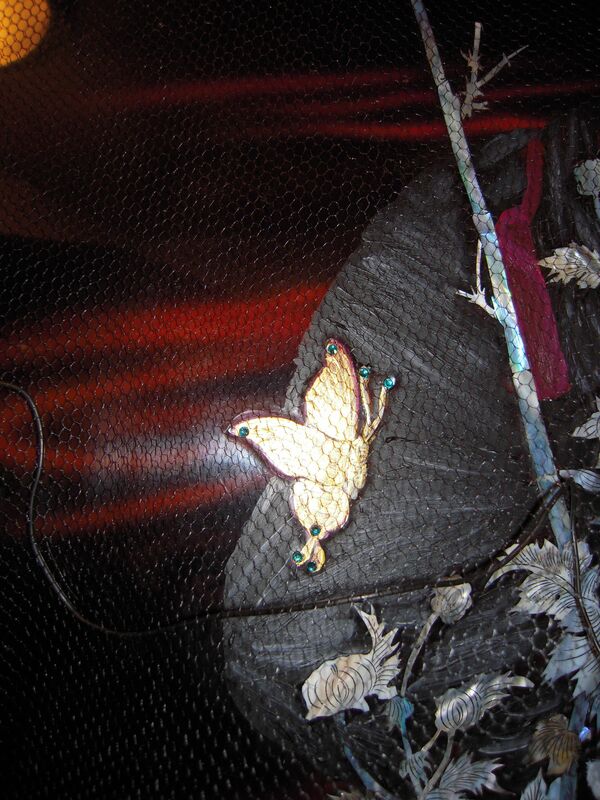 The lacquered panel was inlaid with mother-of-pearl flowers, branches and butterflies. I painted the two butterflies and adorned them with rhinestones to make them stand out.